A busy week up till today had me running late for this reflection, writing it just after I celebrated the anticipated Mass for the 13th Sunday. 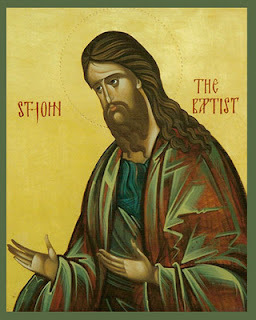 No other saint, save St. Paul, can “boast” of two feast days in the Roman Catholic calendar … The Church celebrates the birth and death of John, “greater than whom no other man born of woman” exists! Today, we revel in his glorious birth. Later this year, in August 29, we will commemorate his tragic beheading … tragic in man’s eyes, but glorious in God’s – and for many generations since! 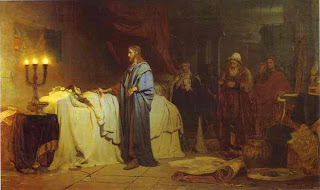 IN HIS TIME – THE WORST OF TIMES; THE BEST OF TIMES! I do my reflection, for the first time, at a place that was, at one and the same time, so close, yet so far – till now. It is my first time to be in Jakarta, Indonesia, a place no more than three and a half hours away from a city I have called home, for a great deal of my life. It is a city from which came a number of my former students in theology, one of whom is getting ordained this very day I am writing this – not without a little difficulty, given the so many things I need to reflect on, as I drink in every thing new and old; everything strange and similar; everything foreign and familiar, with the sights and sounds I see back home, and in just about every place the grace of God has allowed me to call home at various lengths of time in these past 30 years I have been a priest. The focus of today’s readings, understandably, is on the blood of sacrifice. 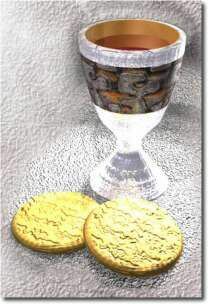 That blood is connected with the seal or proof, or witness – if you will – of the covenant between God and His people. The blood is poured. The blood is consumed in some way, and the blood is offered, first, for expiation, and second, as sign of consummation of the supreme agreement between two parties – God, on the one hand, and his people, on the other. Accepting and doing … this, among so many other things, is what we can reflect on today, the Solemnity of Corpus Christi.